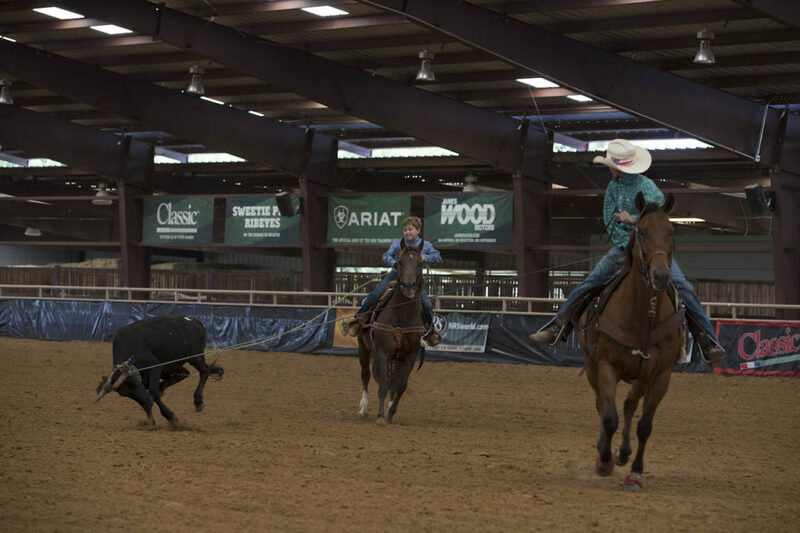 The NRS Event Center hummed with energy as young rodeo stars and their families came together for a weekend of roping, riding and racing at the National Little Britches Rodeo held February 1-3, 2019. The rodeo festivities for the weekend kicked off on Friday night. 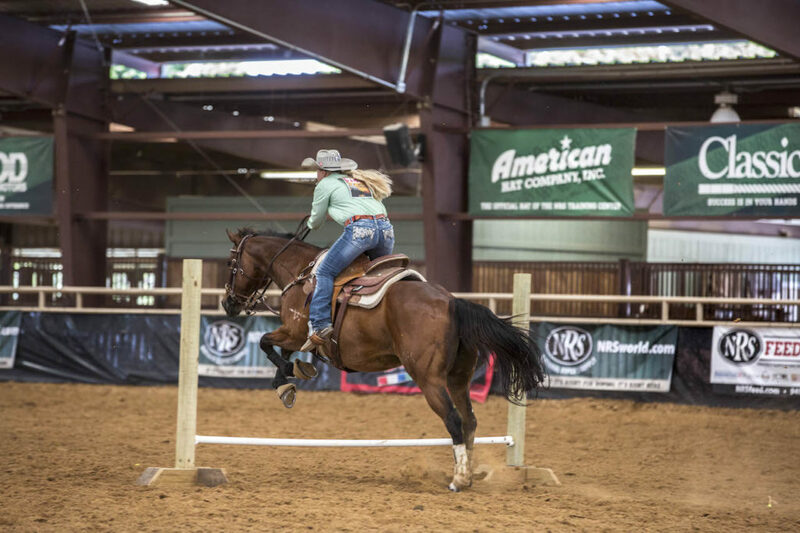 On Saturday and Sunday, contestants ran for a score in multiple events such as barrel racing, flag racing, goat tying/untying, pole bending, trail course, breakaway, tie-down, team roping and ribbon roping. The LBRA is a youth rodeo organization for kids ages 5 to 18. Headquartered in Colorado Springs, LBRA has been making its rounds around the country since 1952. Contestants compete for cash earnings as well as scholarships. The events are divided by age groups – little wranglers, junior girls, junior boys, senior girls and senior boys. Little wrangler events consisted of barrel racing, flag racing, goat untying and pole bending. Junior and senior girls compete in events like barrel racing, breakaway, goat tying, pole bending, trail course and ribbon roping. Events for junior and senior boys are tie-down, ribbon and team roping. Barrel racing, flag racing, goat untying, pole bending. Breakaway, flag racing, goat tying, tie-down, ribbon roping, team roping. Barrel racing, breakaway, goat tying, pole bending, trail course, ribbon roping. Barrel racing, breakaway, goat tying, pole bending, trail course. Tiedown, ribbon roping, team roping. Breakaway, flag racing, goat tying. Barrel racing, breakaway, goat tying, ribbon roping. To stay updated on when the next event is happening at the event center, be sure to check out www.nrsevents.com and follow the event center Facebook page: NRS Ranch, Event Center and Guest Ranch. To shop our roping supplies, horse tack and western wear, visit www.nrsworld.com.